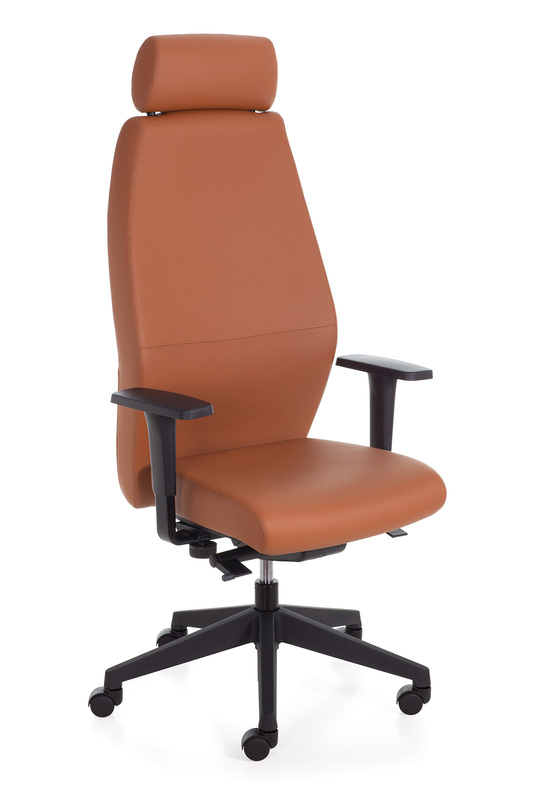 Managerial seating of evident style and quality thanks to its pronounced shape. 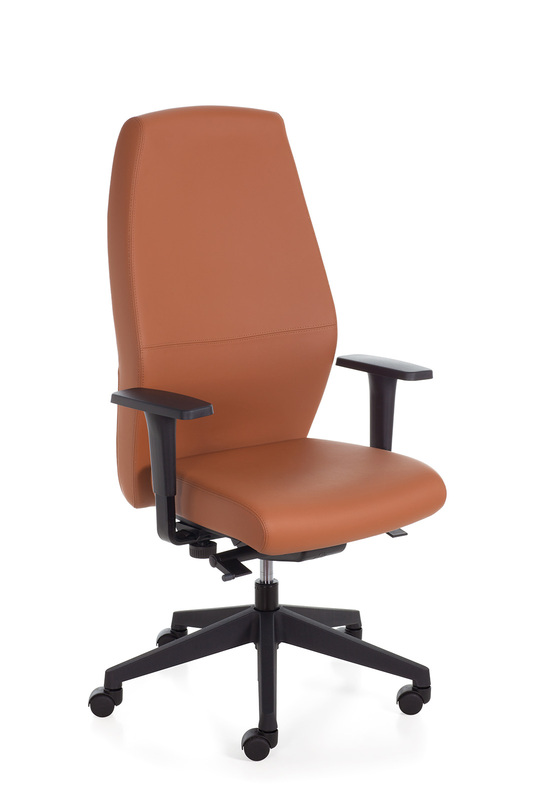 Ergonomically contoured, the range comprises low and high back, plus a high back with headrest. 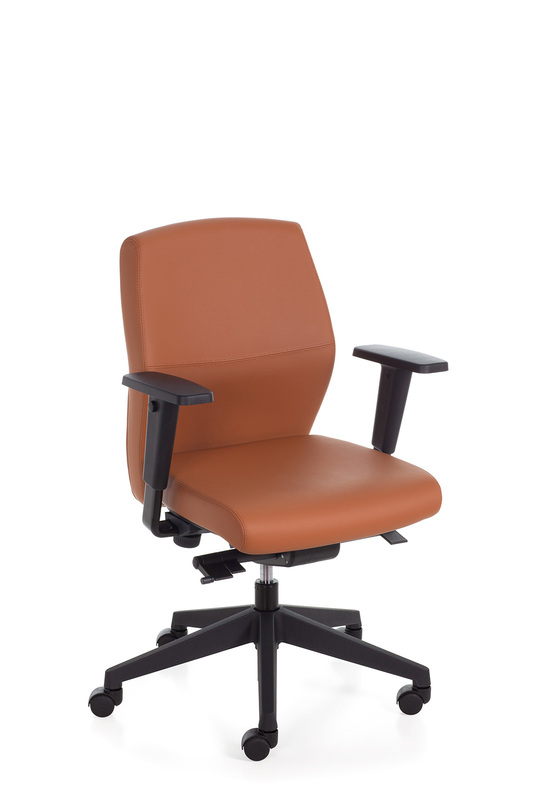 The swivel models have synchron mechanisms and are available with fixed or height adjustable arms. Upon request the chair is available with chrome plated arms and polished aluminium base. 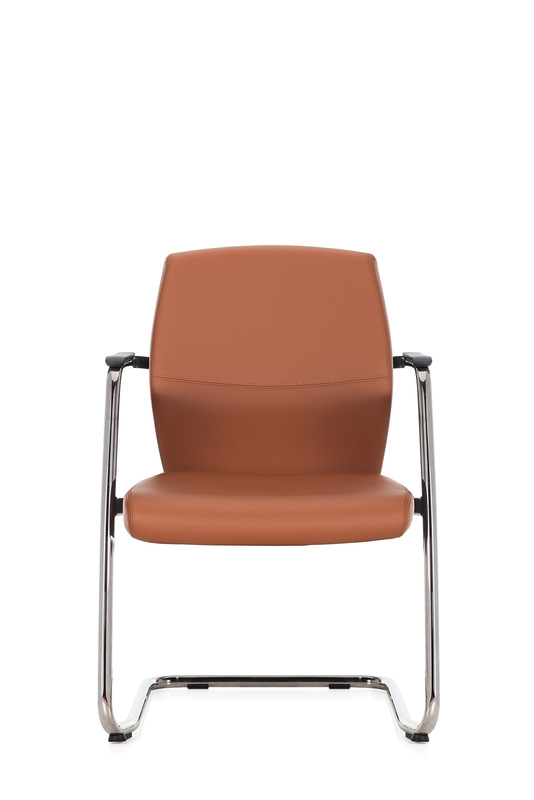 An elegant cantilever guest chair completes the range.